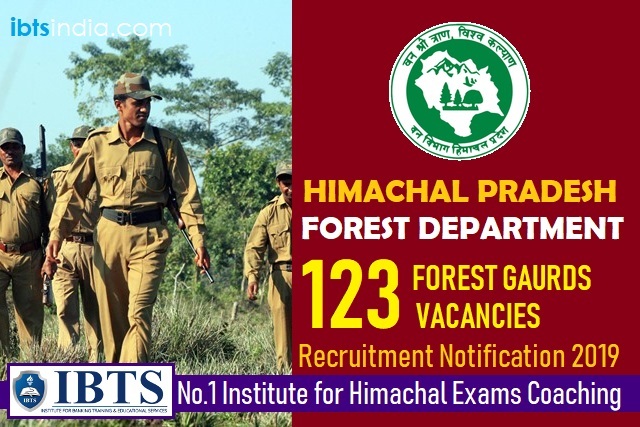 HP Forest Department Recruitment 2019 - Apply Online for 123 Forest Guard Posts in HP Forest Department, Himachal Pradesh on Contract Basis. Online Applications are invited by Himachal Pradesh Forest Department from 14 Jan 2019 to 15 Feb 2019 for 123 vacancies. On the basis of Physical Efficiency Test/ Written Test/ Interview. Eligible candidates may apply online at HP Forest Department's website (direct link is given below) from 14 Jan 2019 to 15 Feb 2019. Candidates log on to http://forp.hp.gov.in/. If student have any query regarding Himachal Pradesh HPPSC Clerk Exam Coaching & Selection Process than they leave comment below comment section as soon as possible we will reply your queries.